Egypt Hieroglyphics Activity - HISTORY'S HISTORIESYou are history. We are the future. Not everyone learned to read and write in ancient Egypt. Only one group of people called scribes was allowed to have this knowledge. In ancient Egypt it was usually men who learned to read and write. Most scribes, therefore, were men. 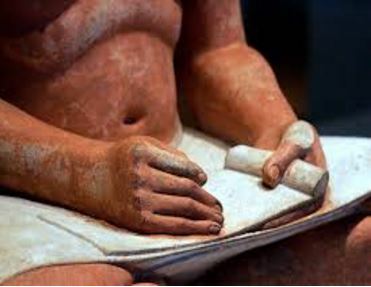 Although experts believe that most scribes were men, there is evidence of some female doctors. These women would have been trained as scribes so that they could read medical texts. To become a scribe, you had to attend a special school for scribes. It could take four to five years for a person to go through scribe school. At school students learned how to read and write hieroglyphic and hieratic scripts. It was hard work. Egyptian scripts are complicated, and there were many signs to learn. Because of that, students spent a lot of time practicing the signs by copying them onto sheets of papyrus, old pieces of pottery or flakes of limestone. Scribble & Scrabble: For this activity you will get to practice the job of a scribe.. First, you will create a cartouche. A cartouche is a sort of ancient Egyptian nameplate. Cartouches are oval-shaped with the name displayed vertically in the oval. At first, cartouches were reserved only for royalty. The oval surrounding the name was meant to protect the pharaoh or queen from evil spirits in life and after death. Egyptians believed that one who had their name recorded somewhere would not disappear after death. A cartouche attached to a coffin satisfied this requirement. 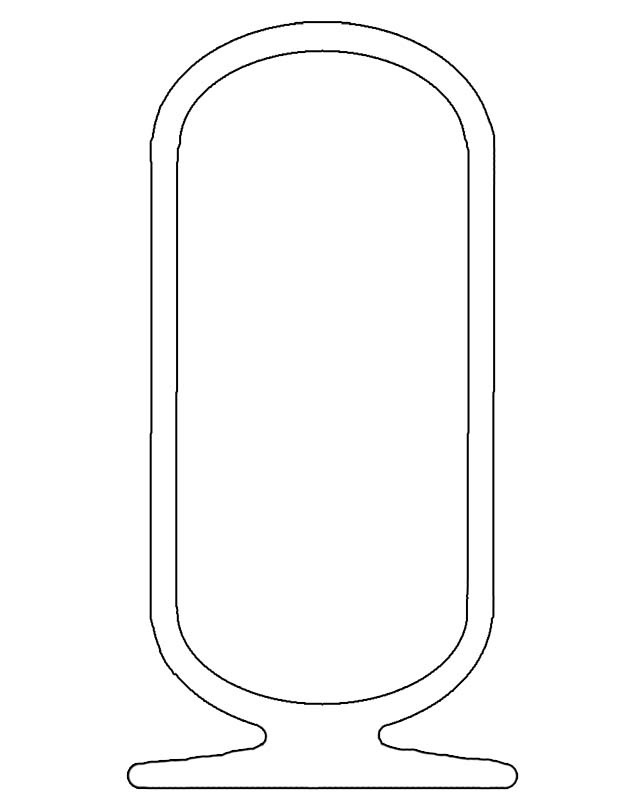 To create your own cartouche, write your name in hieroglyphics in the template below. To learn how to write your name in hieroglyphics you can use either the hieroglyph scrabble tiles or click HERE to type your name into a box and see it displayed in hieroglyphics. Then, you can have some fun using hieroglyphs to play a quick round of the classic word game Scrabble. For a complete scrabble game, use cardstock to print 2 copies of the hieroglyph scrabble tiles above and the scrabble board below.